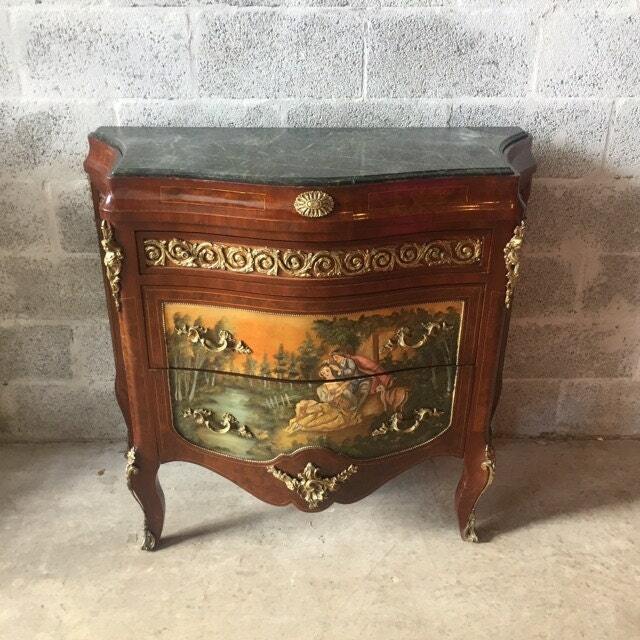 French Antique commode. Only purchased 1 at auction. The commodes is in fantastic condition. 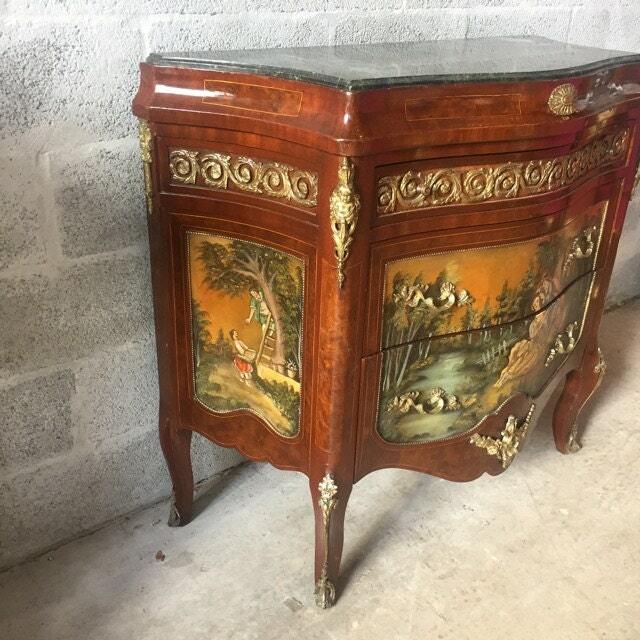 The commode is French and made of Fruit wood. 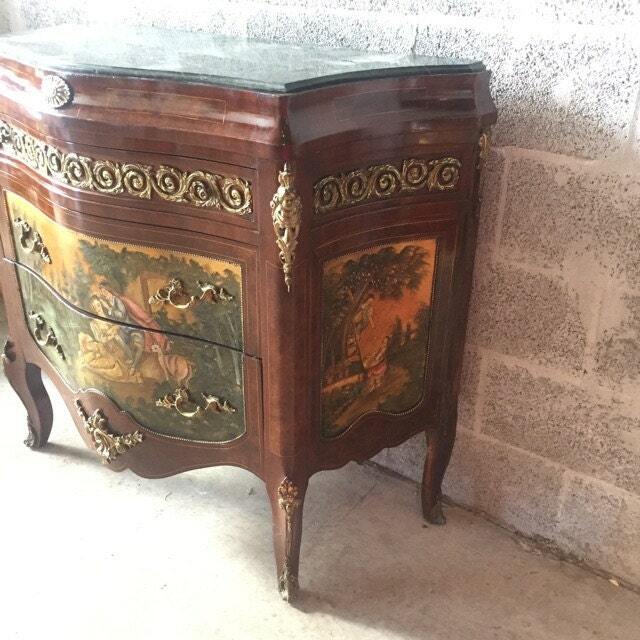 Its a medium size with a beautiful dark green marble top. 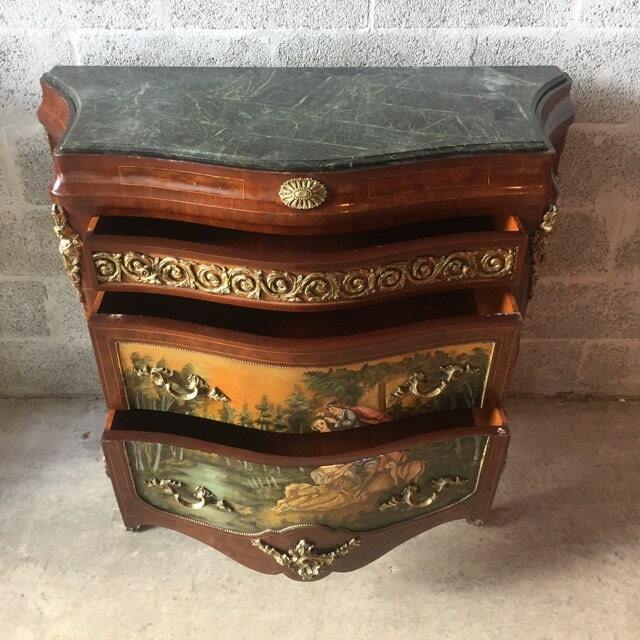 Fully working drawers. The bronze was refinished in Italy. Painting depicts the Louis XVI period with vibrant colors. 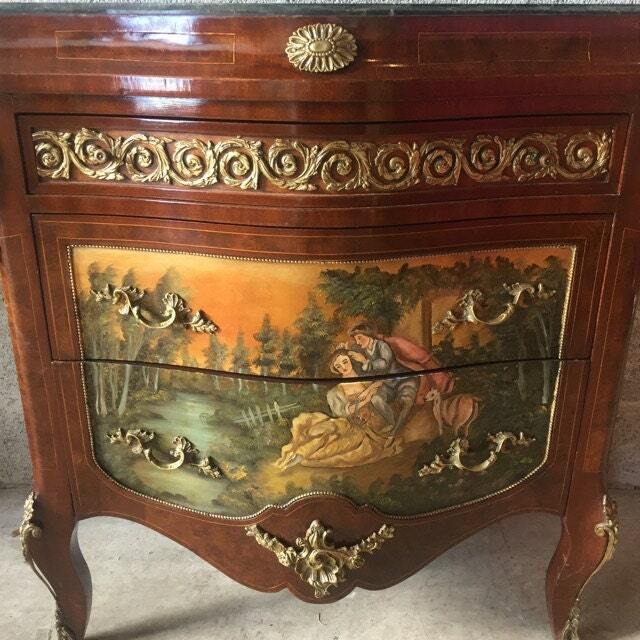 The painting are in the front and both sides of the commode. Dimension: 41"W x 19"D x 37.5"H.